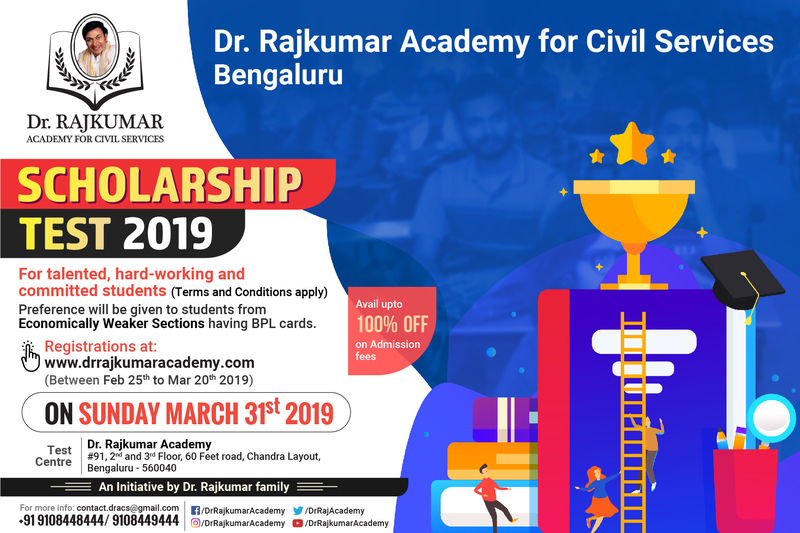 We at Dr. Rajkumar Academy for Civil Services believe in working together to achieve success. Our courses are designed in such a way that an aspirant gets a holistic view of civil service exam and necessary guidance to crack the exam. 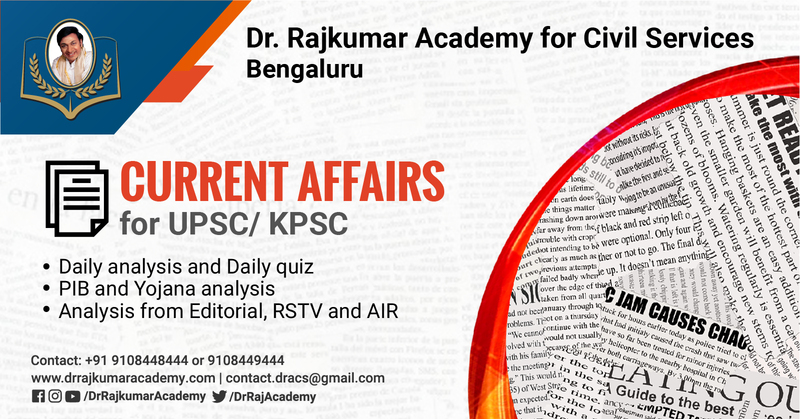 Dr Rajkumar Academy for Civil Services has assistance and guidance from well known Civil Servants across the Country. Their views and suggestions have been a beacon of Light for the growth of the Academy. I would like to thank many many people who helped me on this journey. This was not just an exam, but a life-changing experience. 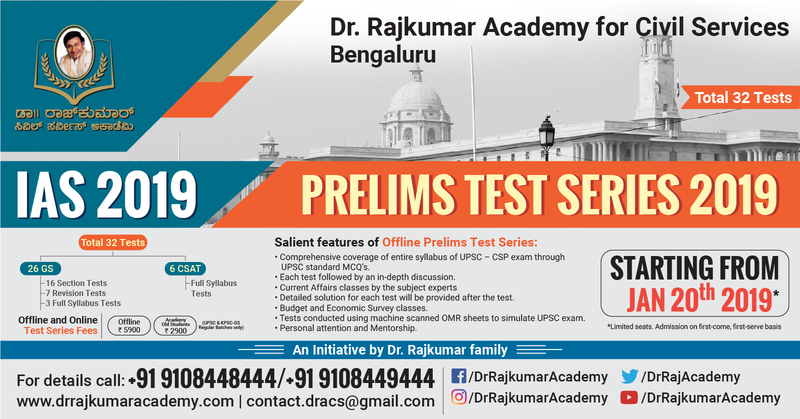 I witnessed candidates from various walks of succeeding which made me realize that there are no barriers to success.My perception that UPSC coaching is a money making industry changed when I came across institutes like Dr.Rajkumar Academy for Civil Services . They reiterated the basic social objective that education means opportunity and it should never be commercialized. My heartfelt thanks to the entire team for their selfless efforts in nurturing young talent. I owe them a big share of my success.We thank all the officers who supported us for the Mock Interviews and Guidance Program. It is a matter of immense pleasure and pride to know that a high quality Civil Services Institute is coming up in Karnataka, in the form of Dr. Rajkumar Academy. 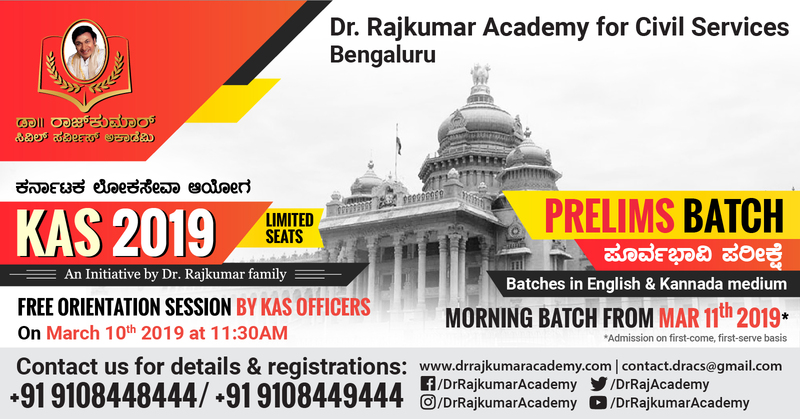 It is definitely a blessing for aspirants from Karnataka, who had to shell out a lot of money, for going to faraway places like Delhi for the preparation. Hope that this facility is made maximum use of, and many more dynamic youngsters from the state join the Civil Services. All the best Dr. Rajkumar Academy! 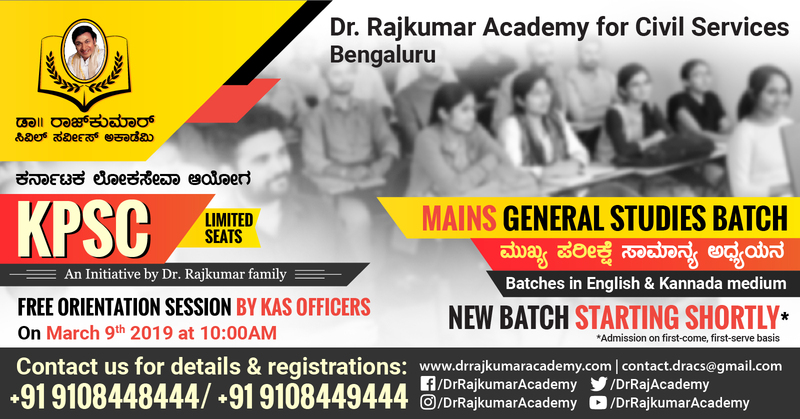 Dr. Rajkumar Academy has come with a vision for good quality civil services examination coaching at affordable prices. 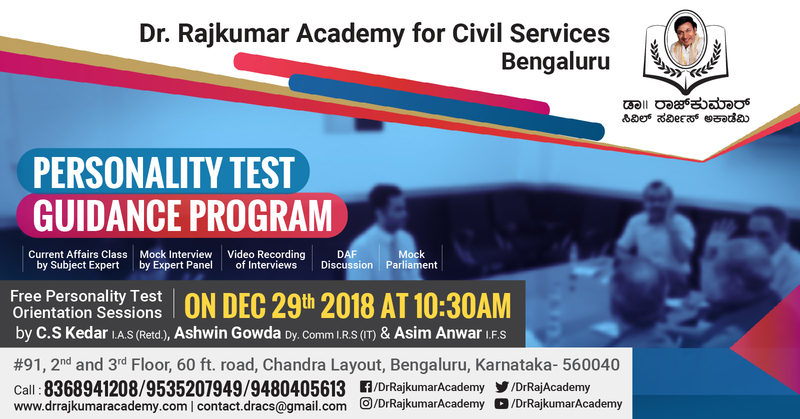 This is most needed at a time when more and more young men and women in karnataka are highly motivated to join the civil services and yet good coaching in various cities is not accessible to all. 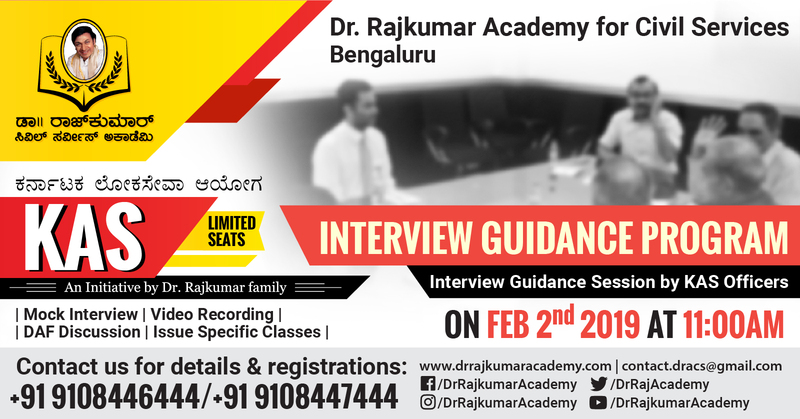 I wish the Dr. Rajkumar Academy team achieves success in bringing out the best from within each aspirant and that aspirants make good use of this opportunity to get into a better platform to serve the people. I was in Delhi preparing for civil services examination for one and a half years. I always wished to have such kind of facilities in bangalore itself so that our students don't have to spend so much amount in Delhi to catch their dreams. I am really happy that Dr. Rajkumar Academy would be such initiative and I wish all the best to both the institute and the aspirants. 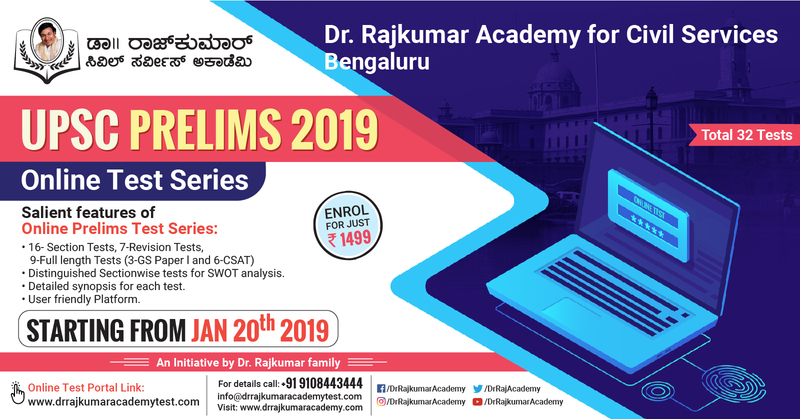 Dr Rajkumar Academy for Civil Services has it’s presence in Social media platforms like Facebook and Twitter where aspirants can find updates of events happening at the Academy. Aspirants can also get access to the articles uploaded on the website which can be useful for their preparations. A dedicated team has been actively preparing articles on Current Affairs, PIB Gist, Editorial Analysis, Yojana Monthly along with Quiz and Mains Answer writing Questions.